Pafos has something for everyone, whether you are a sun seeker, explorer or someone looking for a relaxing holiday with great scenery. There are so many reasons to visit this beautiful part of Cyprus. The harbour area of town is a busy bustling centre of activity, here visitors can either sit and enjoy snacks and drinks, or tuck into delicious freshly caught fish at one of the many seafood restaurants. 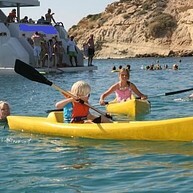 Here one can also book direct for the many fun water sport activities, also day boat trips etc. Dominating the area is the medieval castle which has been a solid presence here since the 13th century. During its long history it has acted as a protector of the town with men having been stationed there to watch for potential sea faring marauders, it has also been used as a prison and during British rule was the main storage area for salt supplies. Now it performs an important role as a stunning backdrop for the many cultural music, dance, and pop concerts that take place during the summer months. Close to the entrance of the harbour one can access this quite stunning park which houses a truly unique collection of remarkable treasures dating from as far back in time as the 2nd century B.C. The key monuments on display include the Saranta Kolones or forty columns, the basilica of Chrysopolitissa, the Hellenistic theatre, a magnificent 2nd century Roman Odeon built entirely of perfectly hewn blocks of limestone, and today is still a venue used by visiting theatre companies and musicians. There is also the temple to Askilipios the God of medicine, our jewel in an already well encrusted crown has to be the Pafos mosaics. These wonderful examples of mosaics floors which graced the floors of the rich Roman villas date back to the 3rd and 5th century AD and are recognised as the finest examples in the eastern Mediterranean of this ‘floor art’. Each of the scenes depicted originate from Greek mythology although only the floor art still survives these four villas must have been truly sumptuous palaces. Just off the Tomb of the Kings road lies a huge area which dates back to 300 BC here was the last resting place for top officials and members of Paphian aristocracy, each would have been laid in burial niches along with jewellery and other artefacts relating to their life etc but these tombs were looted many many years ago leaving behind only an echoing and very powerful sense of stillness and a certain mystery. The tombs were carved out of solid rock and with frescoed walls, and looming Doric columns line the 100 tombs which have been unearthed. This site is well worth a visit and best examples can be seen if you visit the atrium area. 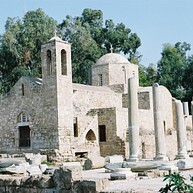 A few minutes’ walk from the harbour is the Ayia Kyriaki Chrysopolitissa, in the grounds of this lovely old church is the pillar which during his visit to Pafos in 45 AD in company with Barnabas as Christian missionaries, Paul was dragged to the church tied to a pillar and received forty lashes. The pillar is there today for pilgrims to view and despite the lashings Paul received, the then Roman proconsul Sergius Paulus after meeting with Paul was indeed converted to the Christian faith. Then there is no shortage of golf courses we have four excellent courses within the region and all are recognised internationally as being first class, the added bonus we have is that the game can be played all year round as we are indeed blessed with weather which really doesn’t require one to carry a golf umbrella. 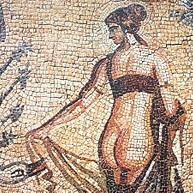 Pafos is where Aphrodite emerged from the gentle waves on the island’s south western coast, and made her home in this region. 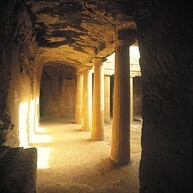 Pafos itself is a leading cultural centre of the Mediterranean, with fascinating archaeological sites, museums and more. In the nearby Akamas Peninsula and inland region there are beautiful monasteries, picturesque villages such as Neo Chorio and nature trails. Further north near the Akamas peninsula and the Baths of Aphrodite lies the resort-town of Polis, overlooking the beautiful Chrysochou Bay with its charming fishing refuge of Latsi. The relatively unspoilt state of the countryside and villages make the area a real delight for the walker and naturalist. East of Polis you come across such villages as Pomos and Pyrgos that lie on beautiful rocky cliffs and rocky beaches. Rural Pafos is a destination that combines ideal weather conditions, diverse accommodation and catering facilities that are in operation all year round, beautiful country side, historical sights, cultural activities, Byzantine treasures, natural wilderness, picturesque village and more. The region is easily accessible from other local cities with good road network as well as good air connections from many European cities. The long and stormy history of Pafos is as interesting as its scenery. The natural beauties, the rich flora, the fertile land, the picturesque mountain and hill villages, the living legends, the traditional products, the folk art and handicraft and above all the simple, warm and hospitable people. All these compose the portrait of Pafos, a region with “a good reason for all seasons”. Spring and summer are ideal times of the year to visit archaeological sites, relax in the countryside, experience unique cultural events such as fairs associated with local products, taste traditional food with seasonal produce, or explore nature. 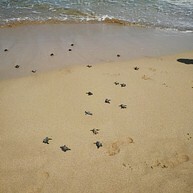 Pafos is a paradise for nature lovers, birdwatchers and botanist. In addition this time of the year is perfect for swimming, sunbathing, and a whole range of water sports from scuba diving to sailing. Fall and winter bring the possibility of rain but still an average of six hours bright sunshine a day. At this time, the countryside changes colour and the vineyards take on gold. Inland excursions, visits heritage sites, museums and handicrafts, practice cycling, trekking, hiking or explore and experience first hand the village life is what is highly recommended and not to be missed. Diverse accommodation and catering facilities that are in operation all year round, easy accessibility from other local cities, good road network as well as good air connections with the most European cities, all contributing to a unique destination with distinctive characteristics and an ideal region to experience all year round. Pafos produces many quality wines which can and do compete very favourably on the international wine stage, and we also lay claim to being the oldest country in the world when it comes to the art of wine making with production here going back as far as 6,000 years. This also means we have the oldest grape varieties, and we have also brought in foreign varieties adapted to suit the ever changing tastes of wine drinkers such as Chardonnay, Semillon, Grenache, and Cabernet Sauvignon. The wineries here are mainly family run and they do welcome visitors to come and have a sampling of their wines and you can also buy wines direct from the winery. Our restaurants and hotels make every effort to promote our local wines so look out on menus for wines made by the following local wine families. 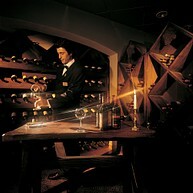 Tsangarides winery, Vouni Panagia winery, Fikardos winery, Ezousa winery, Vasilikon winery. This peninsula is in the westernmost tip of Cyprus and Pafos is its nearest city. It’s a region of untouched natural beauty made up of wild landscapes, deep gorges and beautiful deserted beaches. The perfect place to explore and unwind. 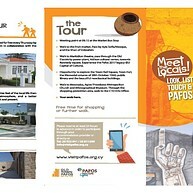 Getting about within the town and the suburbs is easy as a regular bus service delivers tourists to all the key places of interest and popular fun venues, the bus timetable is available along with a myriad of other essential information at the Pafos Tourist offices based in town. Or, you can explore via our bike rentals, cycling along the promenade area with the scent of sea water giving you that extra boost, or if less active we also have the mono electric bikes with safety helmets for those who wish to expel less energy. Renting a mountain bike, a buggy, or a motorbike is also an excellent way to adventure out of town and explore the countryside and the many quaint sleepy villages. There are also a series of Walks organised by the tourist board which allows visitors to be guided through the old part of the town and, as you enjoy these leisurely strolls, the professional guide will reveal the many fascinating stories about both old and new Pafos. 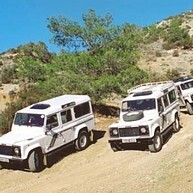 A unique way to explore and enjoy the crystal waters of the rugged Pafos Coast line. Full Day Cruise For that extra tan, leave behind the sand and cruise the crystal clear waters of the Mediterranean. 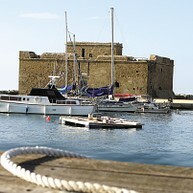 Cruise to the West from Paphos Harbour towards the famous and legendary Akamas. 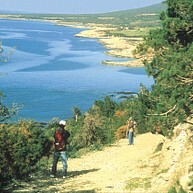 You will have the opportunity to see the majestic scenery of the coastline, Coral Bay, The Sea Caves,St. George’s Island, Lara Bay (Turtle Beach) and Geronysos. Relaxing Half Day Cruise Treat yourself to a relaxing Mini Cruise and spend a few hours at sea sailing the mediterranean along the West coast of Paphos taking in the views of the rugged coastline. Sailing up to Coral Bay where we will drop anchor for you to enjoy a dip in the crystal waters of this beautiful sheltered bay. Mid Day Cruise Treat yourself to a relaxing Mini Cruise and spend a few hours at sea sailing the Mediterranean along the West coast of Paphos taking in the views of the rugged coastline. Moonlight Wine & Dinner Cruise Cruise the coastline while the sun is setting beyond the horizon. Then boat weighs anchor and usually a Mediterranean supper is served. Background music will be played throughout your meal. After the meal to get you in the mood for dancing, a live DJ will play 60’s – 80’s music or simply relax on the top deck gazing at the stars. Other options also available such as Catamaran Cruise, Glass Bottom Boat, Tuna Fishing and Private Charters available on request.